ATLANTA — More than 100 former NFL players have filed a federal lawsuit in Atlanta claiming that pro football didn’t properly protect its players from concussions. The plaintiffs in the lawsuit include former Atlanta Falcon Jamal Anderson, ex-Georgia star Lindsey Scott and veteran quarterback Don Majkowski. The lawsuit, filed Thursday in federal court in Georgia, claims the league failed to protect NFL players from brain injuries linked to footballrelated concussions. They are among more than 1,000 former NFL players suing the league. 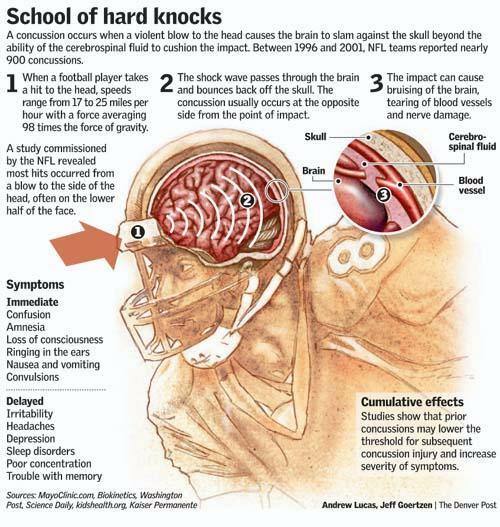 The cases say not enough was done to inform players about the dangers of concussions in the past, and not enough is done to take care of them today. awesome, great written and inclpude almost all significant infos.